Lower back pain, upper back pain, spasming muscles, sore legs or arms; any kind of muscle pain can be relieved with acupuncture. Acupuncturist determine which areas of the body are stagnant or lack efficient energy flow or qi (pronouced"chee") and insert very thin needles at specific points to restore the flow of energy. ​A more western scientific way of looking at this theory is that the insertion of needles affects the neurotransmitters, hormone levels and immune system. 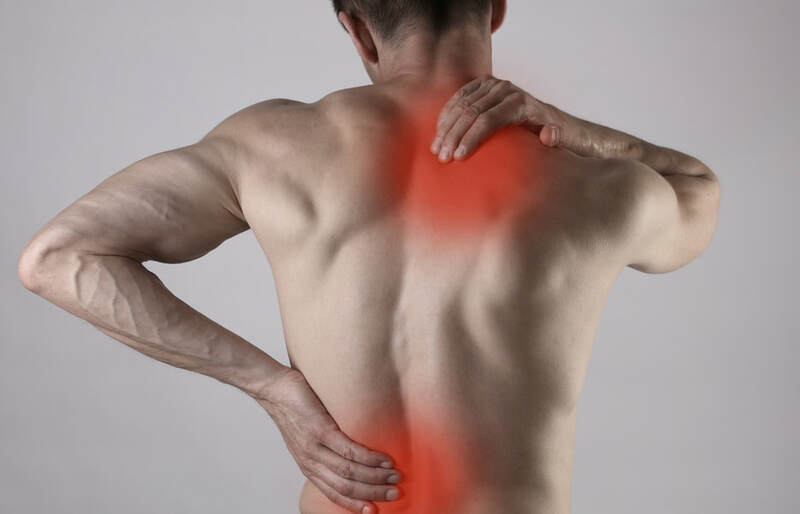 This reduces inflammation, which in turn reduces pain. At Remedy Wellness Centre, we recommend acupuncture especially for acute pain and muscle spasming. Though we have a whole team of highly skilled RMT's, we've found that acupuncture is much gentler and effective during this early acute phase of the healing process. If you're not crazy about needles, our acupuncturists also offer Tui Na as an alternative to acupuncture for muscle pain. It is a massage and acupressure technique that can also be very effective in providing relief from muscle pain.